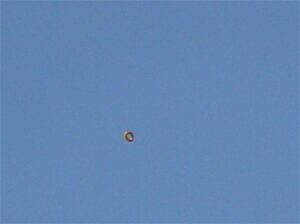 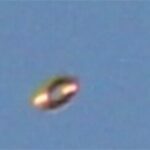 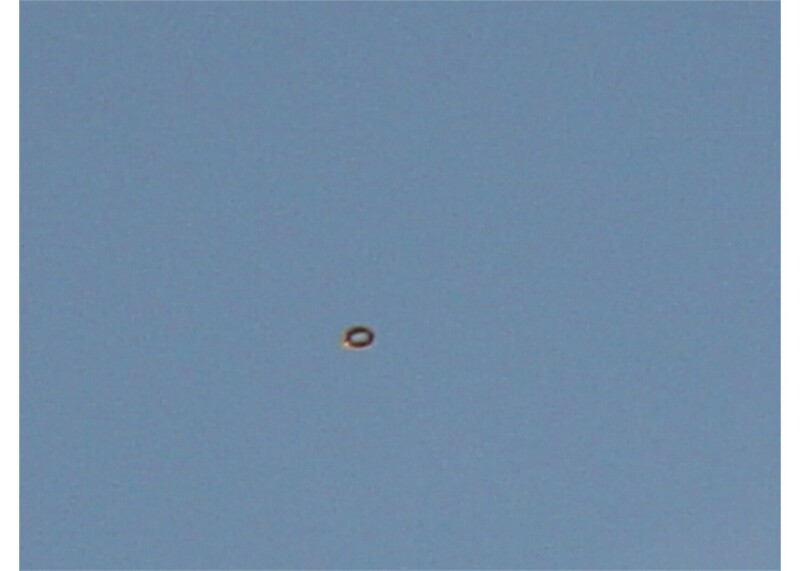 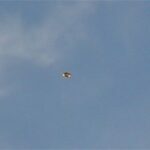 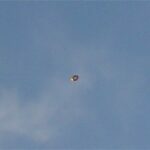 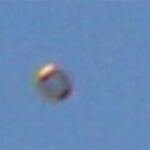 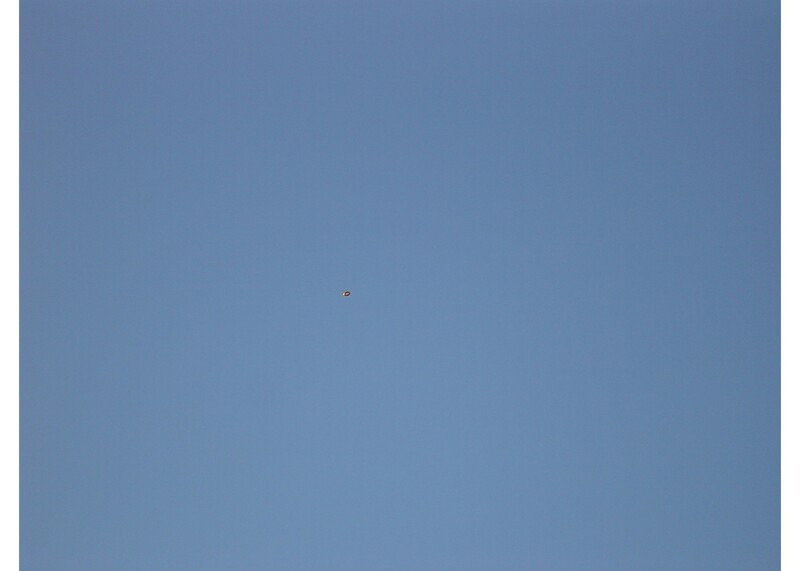 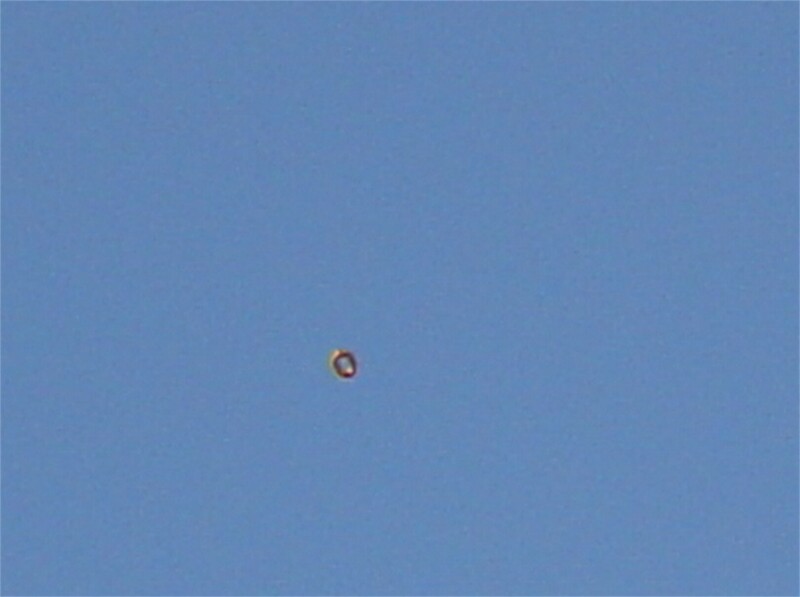 My name is Jennifer Andrews and I thought you might be interested in some photos I took of an object, last March 4th, that I spotted going over our house. 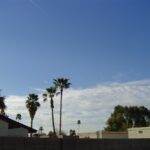 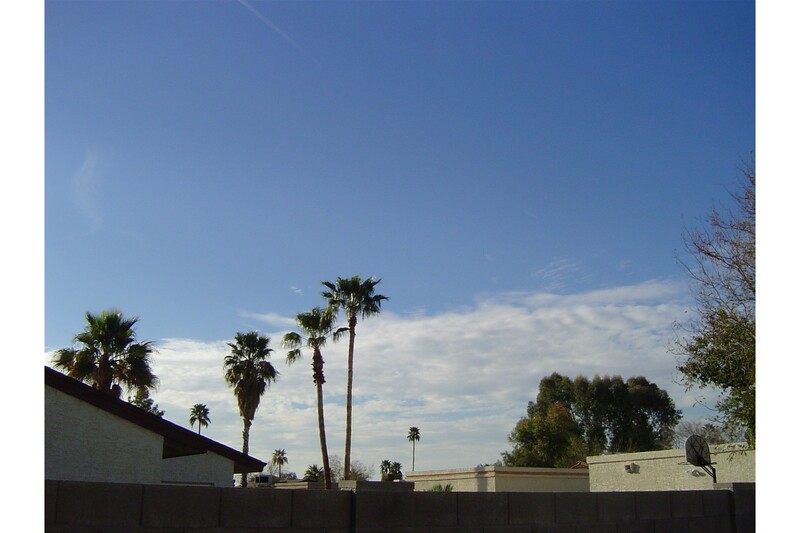 To give you a little background on these photos, this is what happened: My husband and I were sitting out on our patio in Mesa, which faces West towards Phoenix (and it may be important for you to know that our house is in the McKellips Rd/Mesa Dr area AND is below a regular flight pattern for planes coming into and leaving Sky Harbor). 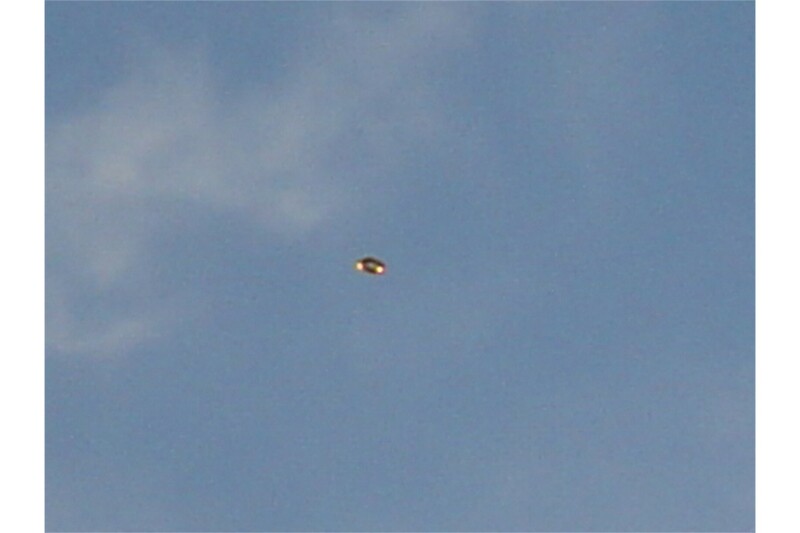 During the time of this incident, the planes were flying INTO Sky Harbor so they were headed West). 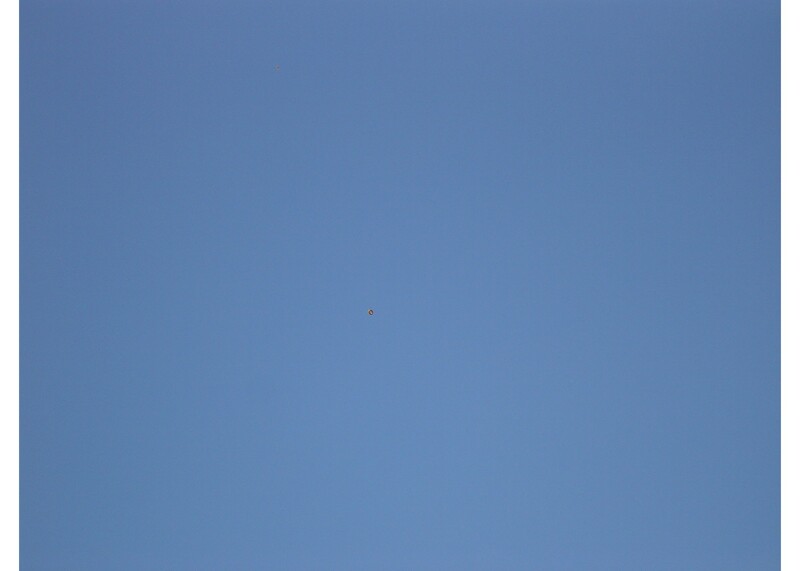 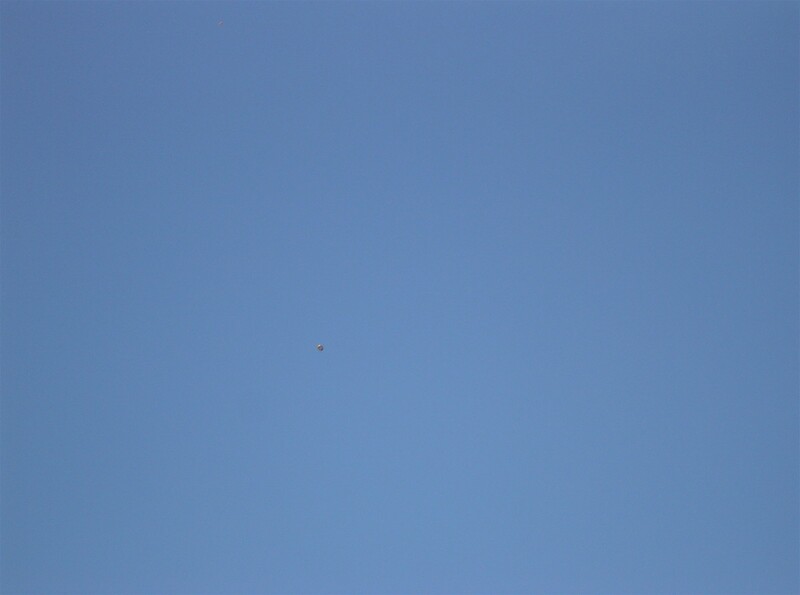  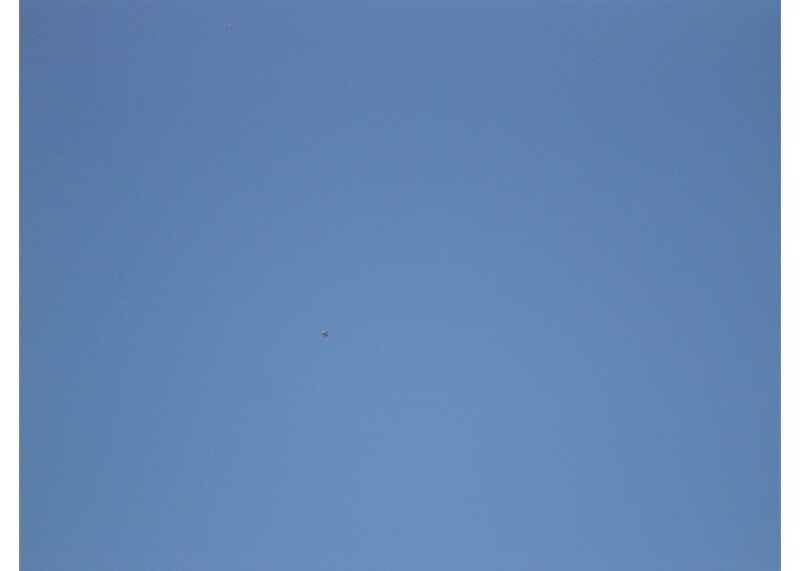 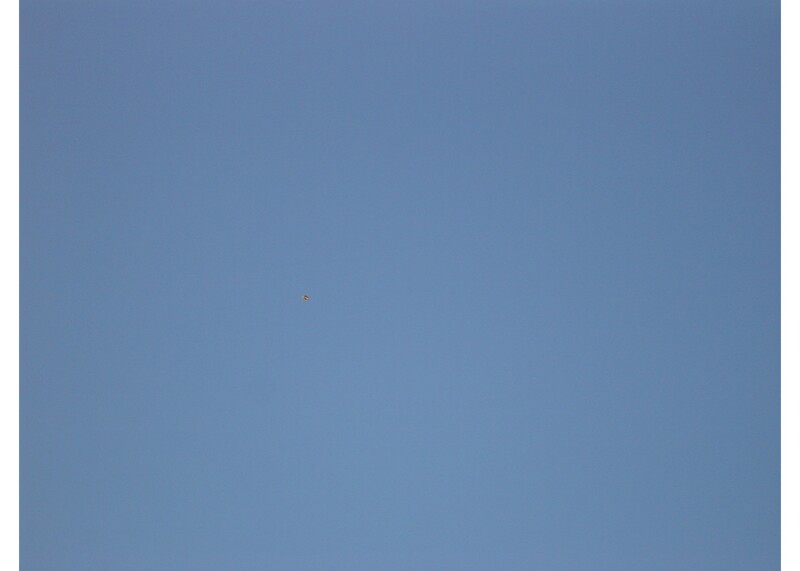 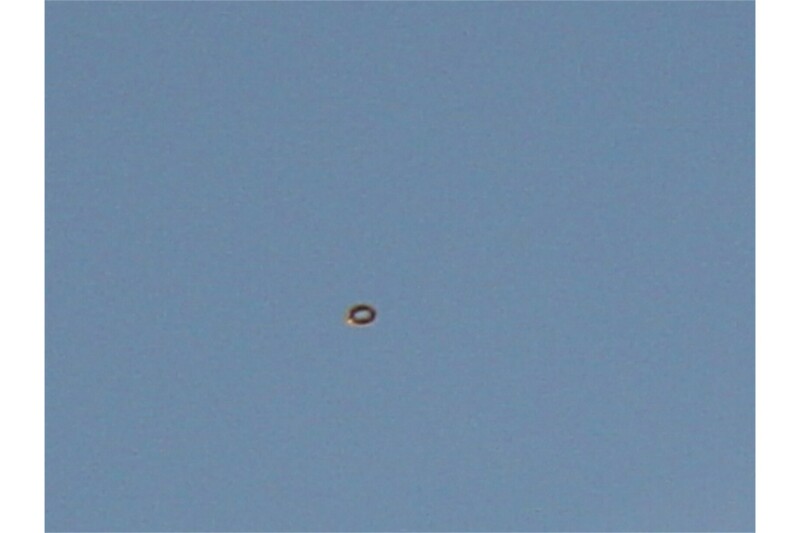 I suddenly noticed a small odd shaped object that was coming from the West and heading East (or slightly North East) and even though it looked small, I knew that it had to be flying at a much higher altitude than the airplanes that were coming into Sky Harbor for landing, based on the comparisons in sizes.  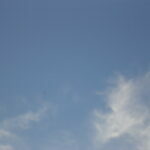 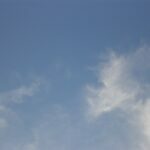   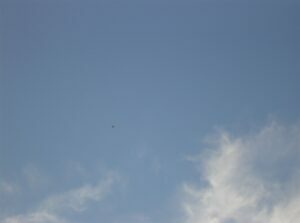 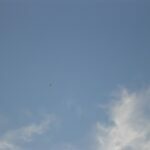  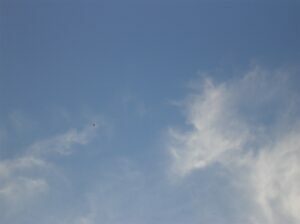   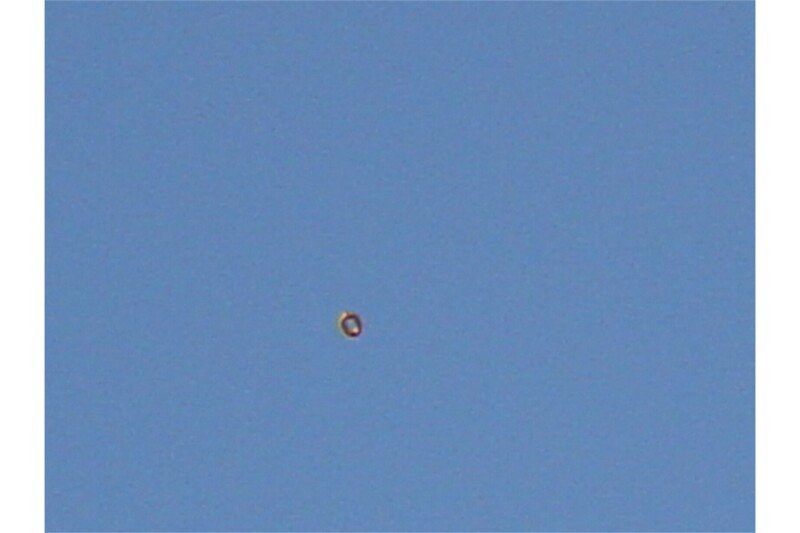 Even though it was difficult to see this object closer, I realized it was NOT an airplane AT ALL! 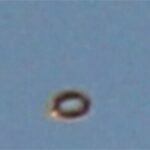 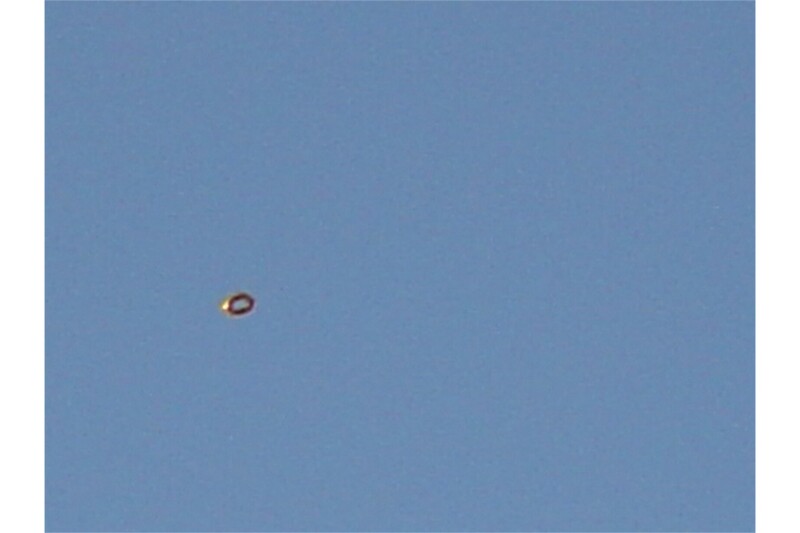 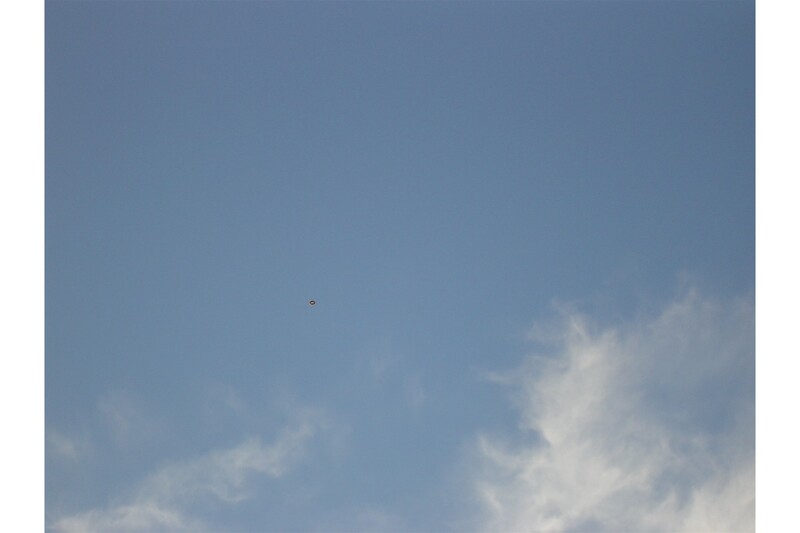 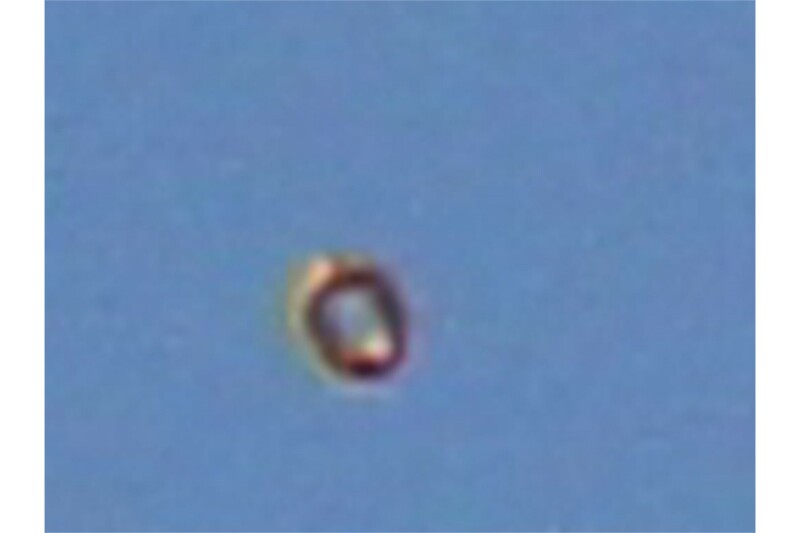 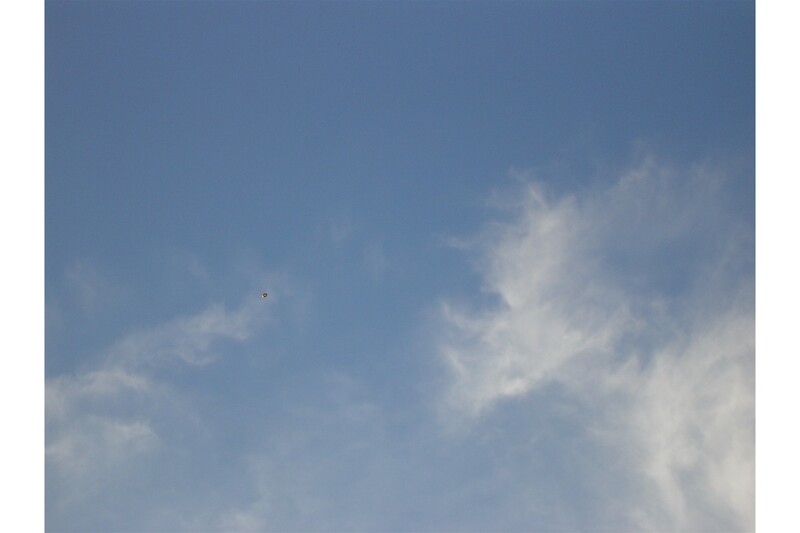 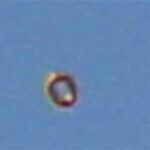 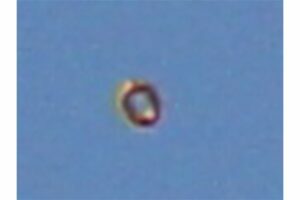 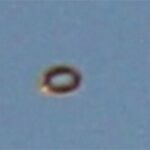 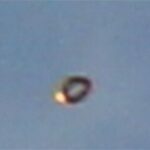 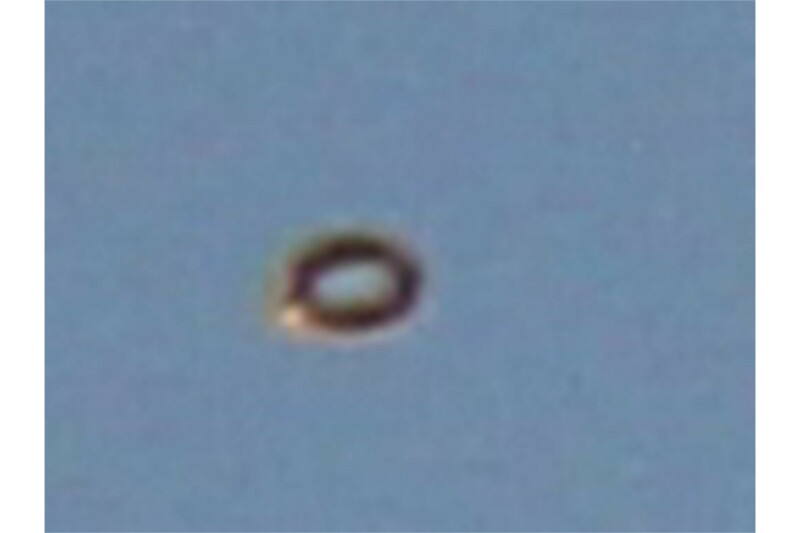 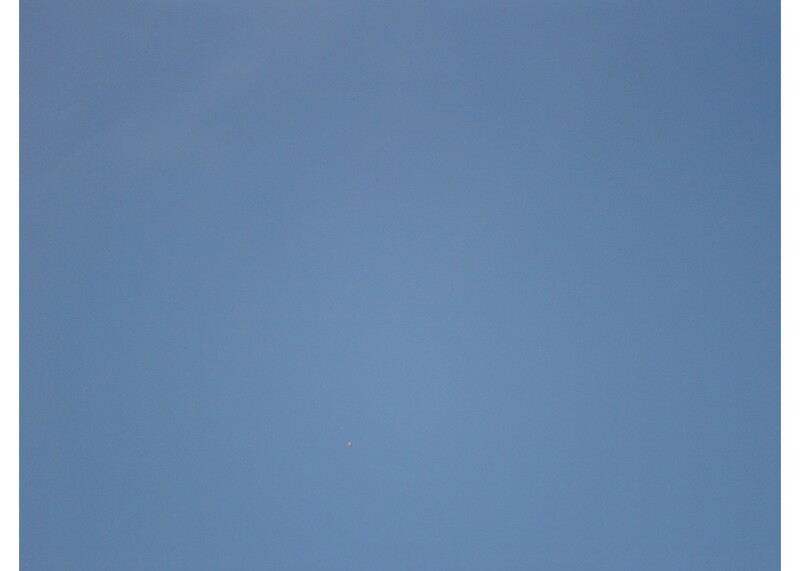 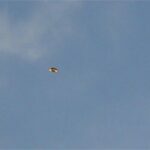 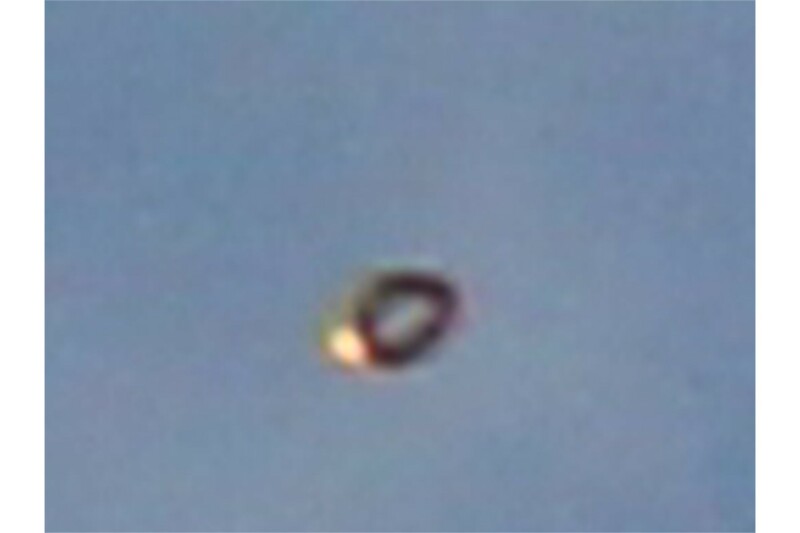 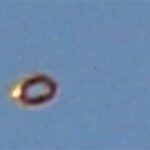 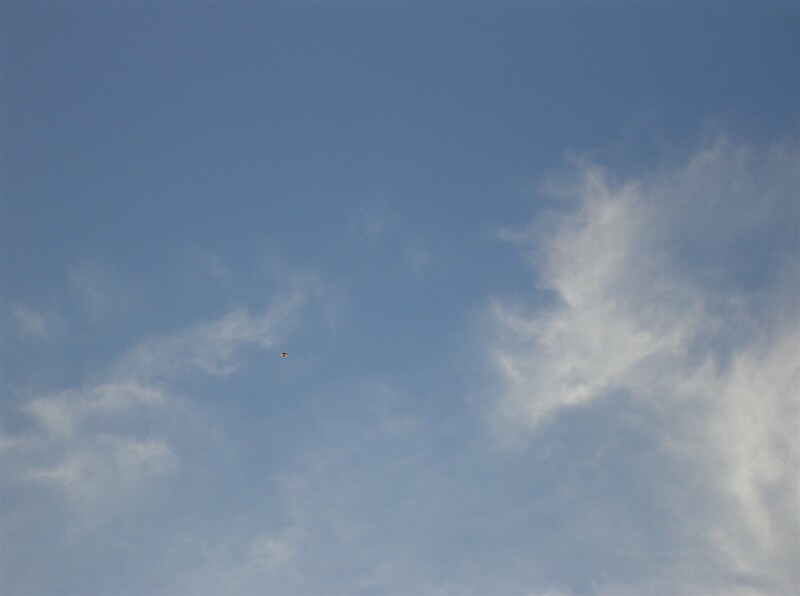 It was almost oval in shape, but a wider-type oval and it was clearly gaining altitude as it was approaching from the West and moving overhead. 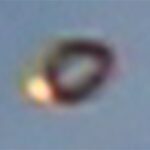 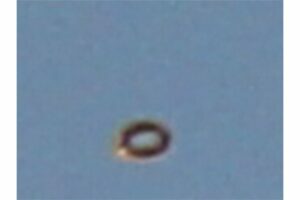 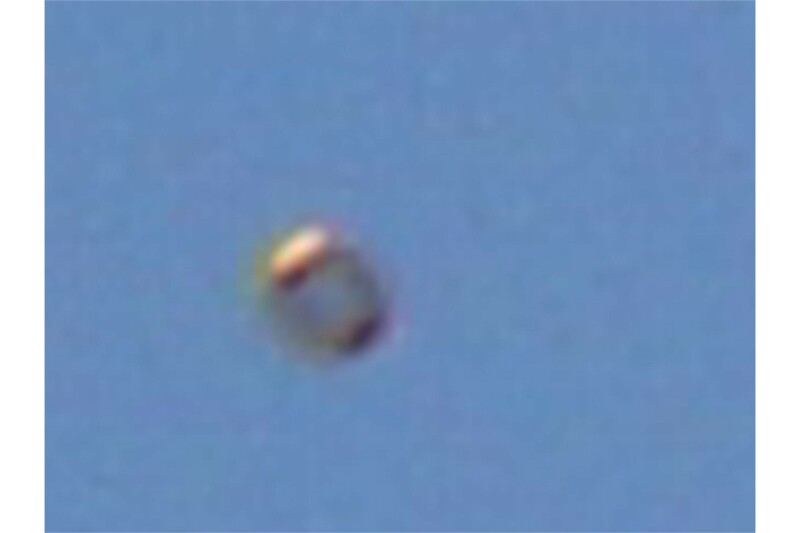 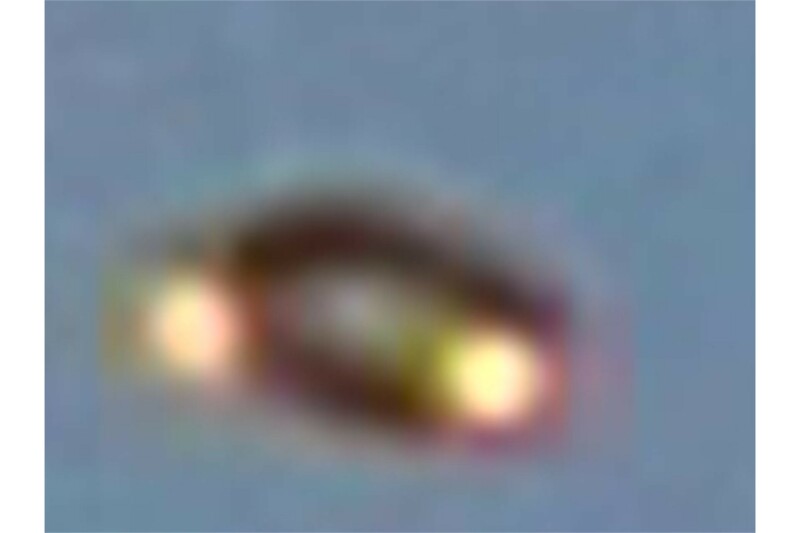 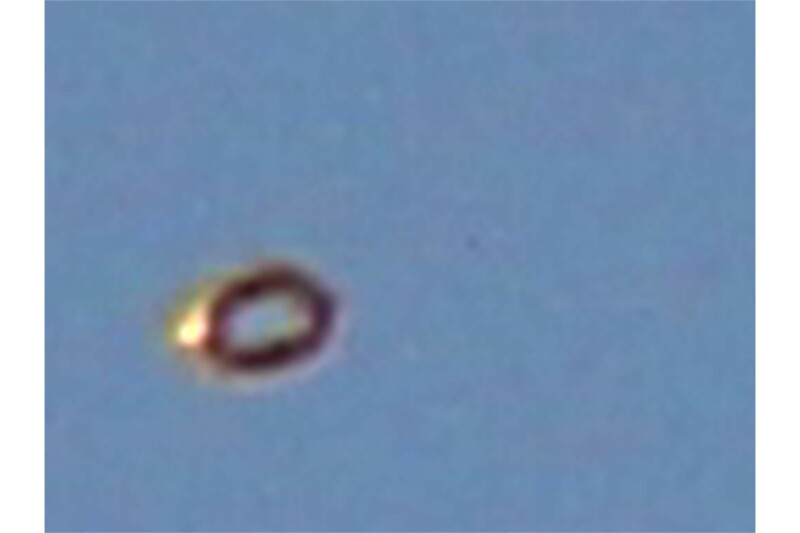 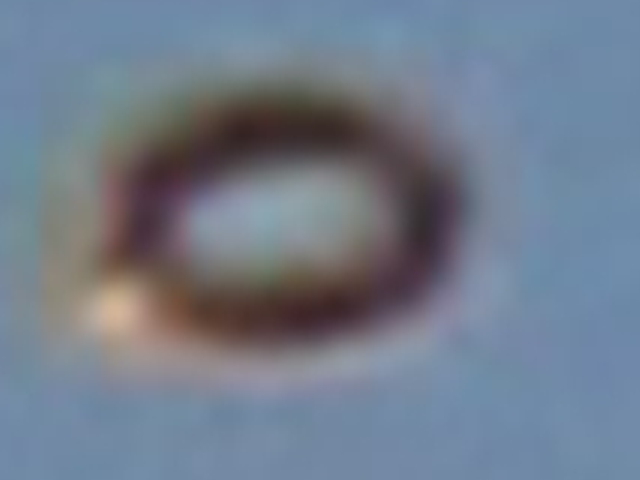 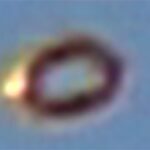  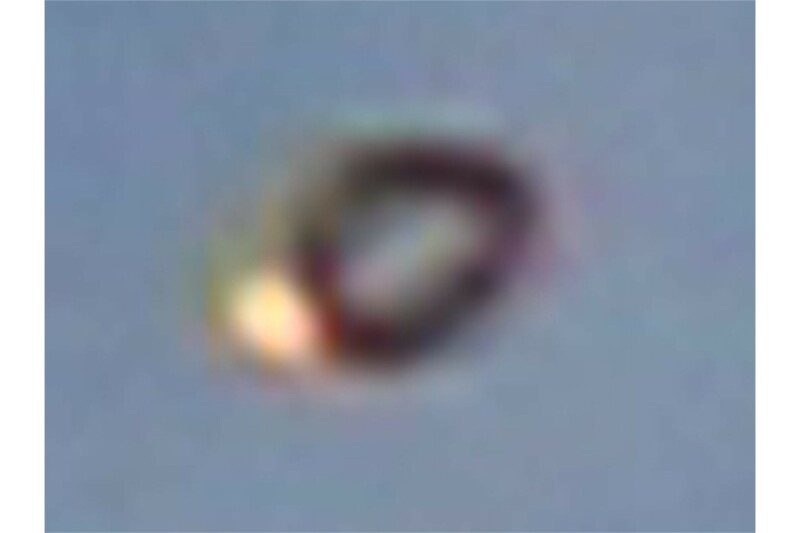 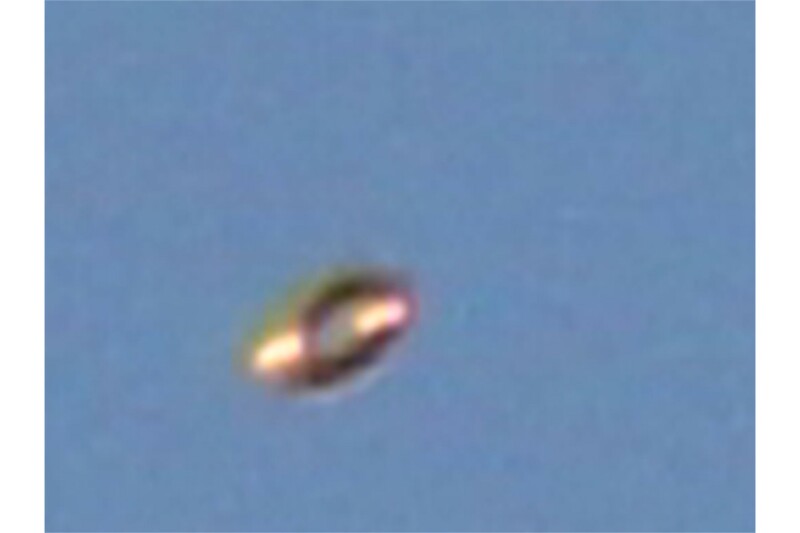 It also appeared that the craft was rotating itself, as it moved forward, not only based on simply watching it visually, but also based on a light that seems to be attached to it – one moment you could see one light and the next you could see two (both at opposite ends of the wide oval). 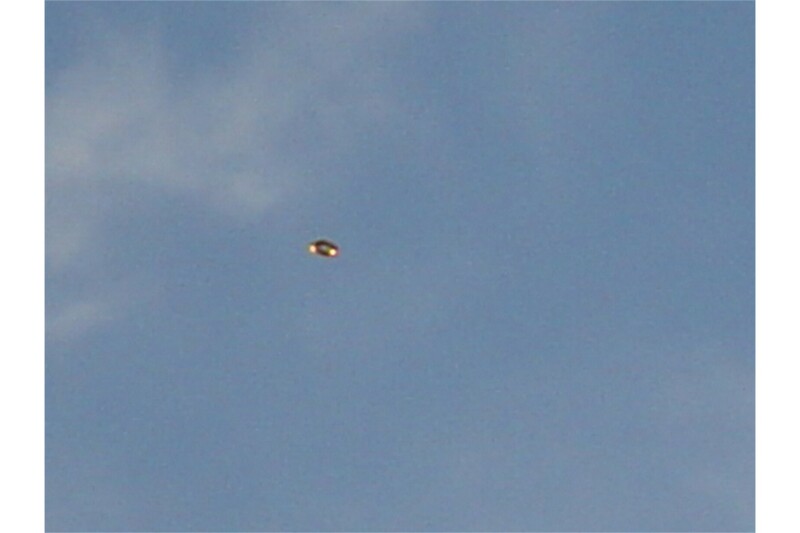 I had grabbed my camera as soon as I realized this was NOT an airplane or any other type of military aircraft that I had ever seen (I had a career in the Aerospace industry and was familiar with various types of military aircraft such as C17, F18, etc.). 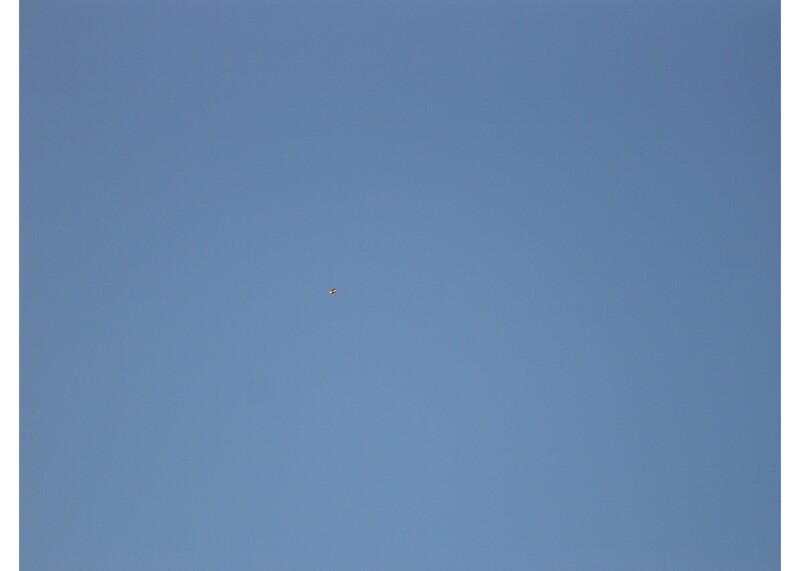 I began to take photos as fast as I could, but because it was flying so much higher than the airplanes, I had to get it into my viewfinder on my camera and on top of that, I had just broken my shoulder and had emergency surgery 2 months earlier and I had limited mobility in that shoulder, so I had to get into some strange positions in order to keep taking photos as quick as I could. 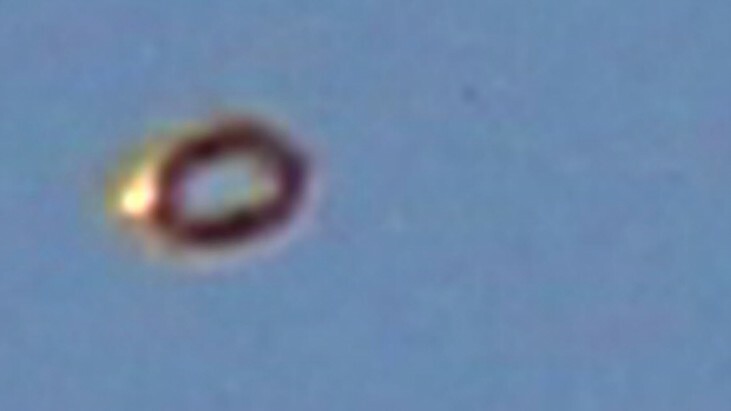 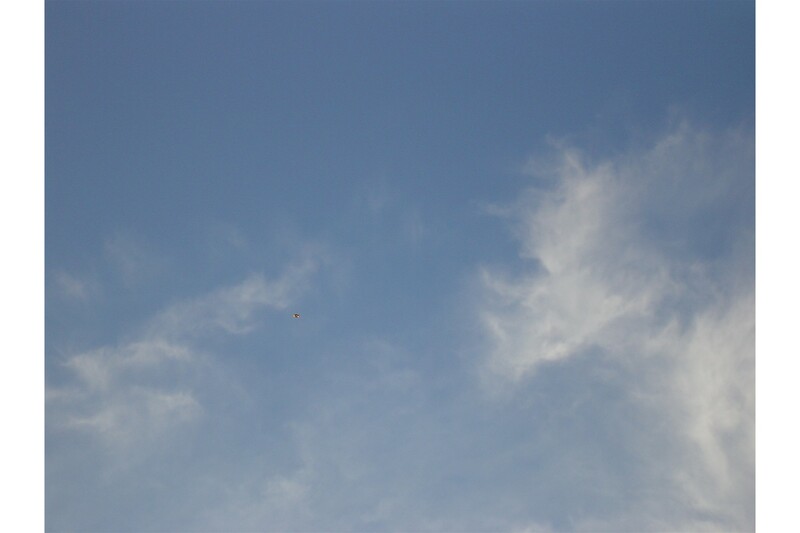 The original photos I took, were taken with my camera set at the highest zoom level the camera had, so to look at them as originally taken, they looked almost like specks. 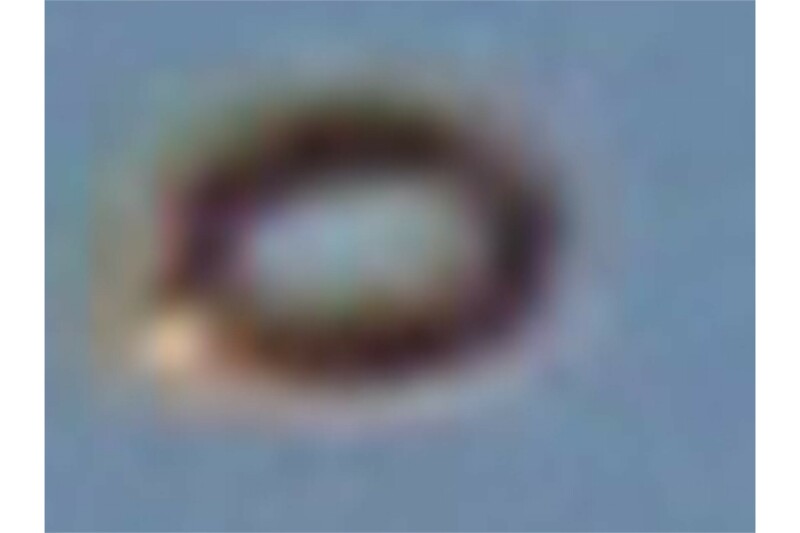 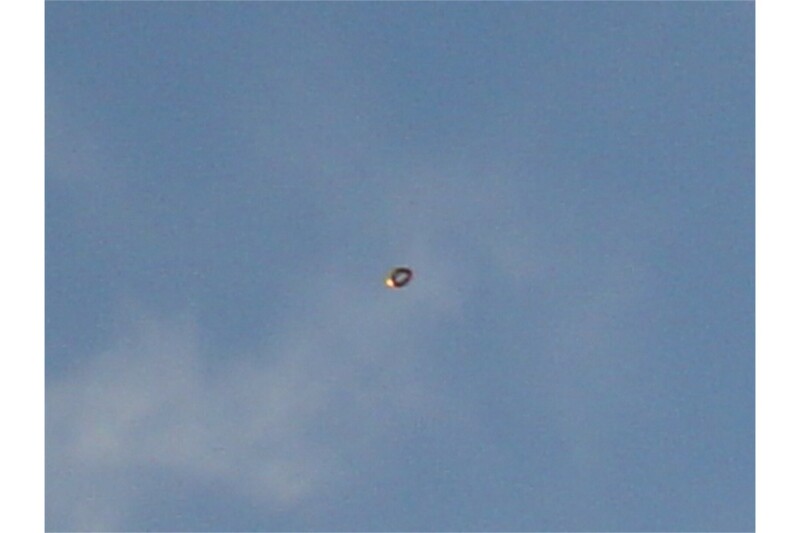 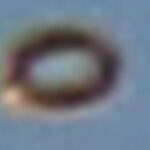 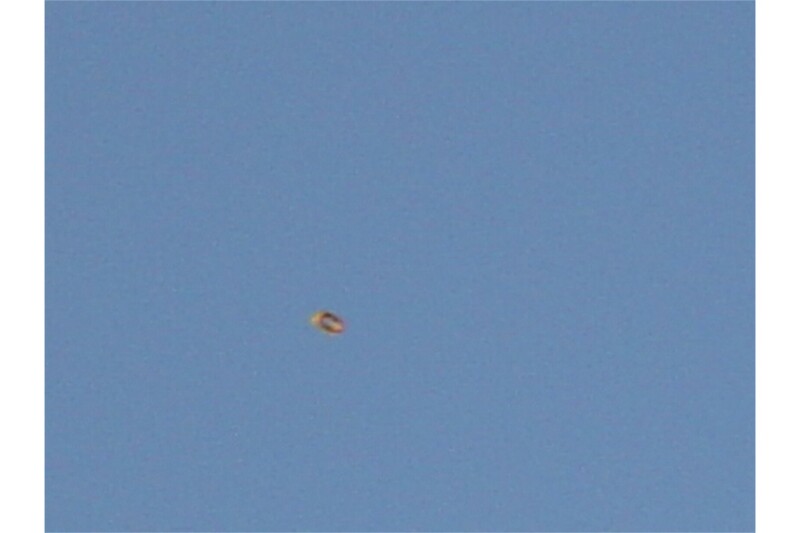 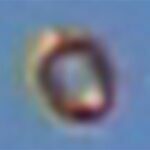 But when looking at them after I had taken them, I could zoom in 5X to see the object more closely. I was then able to resize that enlarged frame so I could once again zoom in another 5X. 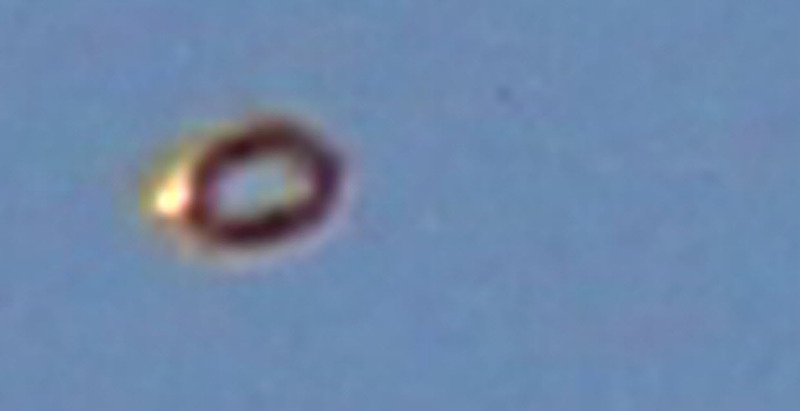 I realize you lose clarity but in doing this I was pretty amazed at what I saw and realized this was most definitely something NOT of this world. 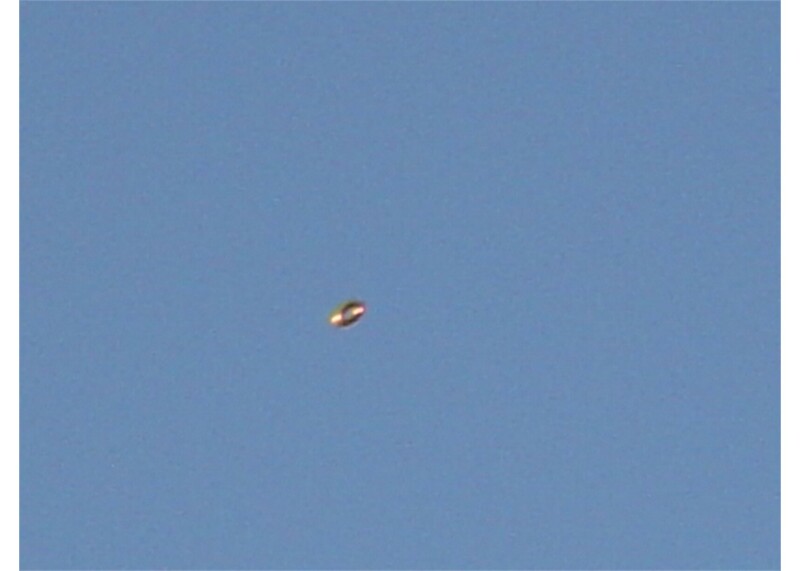 I DO have the original photos on my camera that I took that day before enlarging them so if you need to, I can show you the photos as they were initially taken. 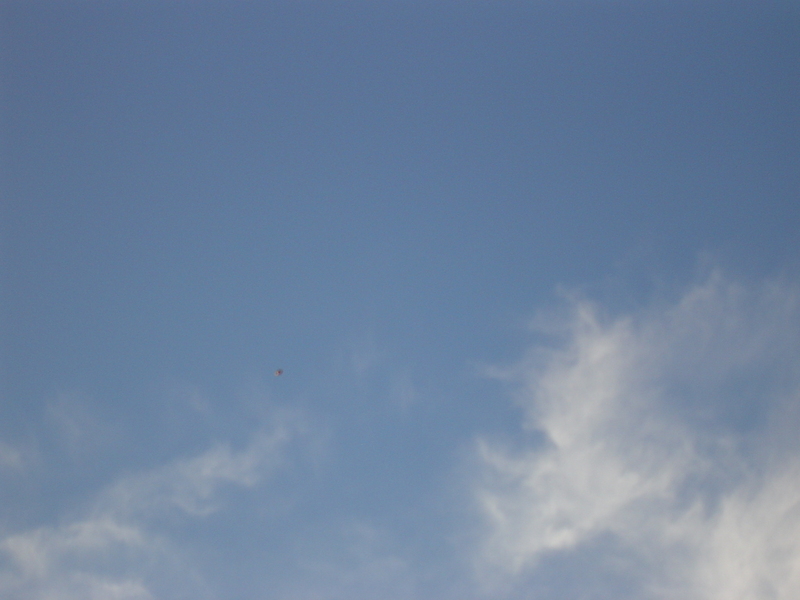 If you are interested in seeing ALL the photos, or if you have any questions for me, feel free to let me know and I would be happy to answer anything you might have to ask me or to send you all the photos. 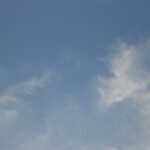 I hope this is helpful for your group and I’m glad to be able to do something with these pictures in the way of showing them to someone that can realize that this craft is not something that anyone has seen before. 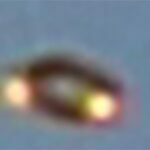 Thanks for taking a look at them and let me know if you need anything else. 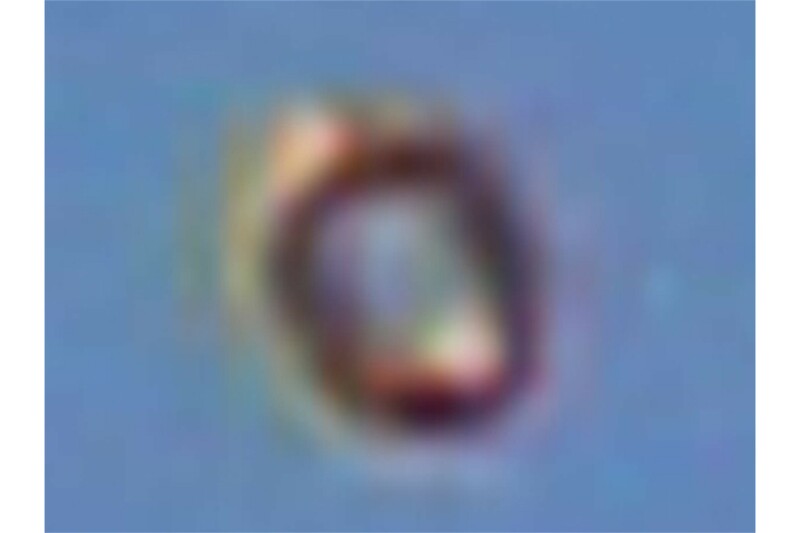 This was another message I received from the witness, who kind shared the entire memory card of photos. Many of the cropped and zoomed photos were done inside the camera – with a feature she had available to her. 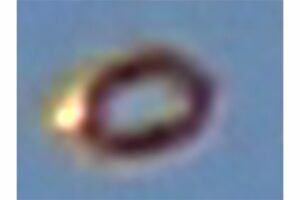 There may be repeats below, to the above, but wanted to ensure everything was archived for reference.